So what did you do on Jan. 1? City workers spent the day rerouting sewer lines and stabilizing the sink hole in a round-the-clock operation that resulted in no interruption of service and no sewage leaked into the Neuse River just a hundred yards from it. Sometime between Christmas and New Year’s Day, a sewer pipe gave up its 56-year battle against erosion and the forces of hydrogen sulfide. It gave way and the ensuing damage left a 50-foot sinkhole near the National Guard Armory on Glenburnie Drive. This wasn’t any sewer pipe. 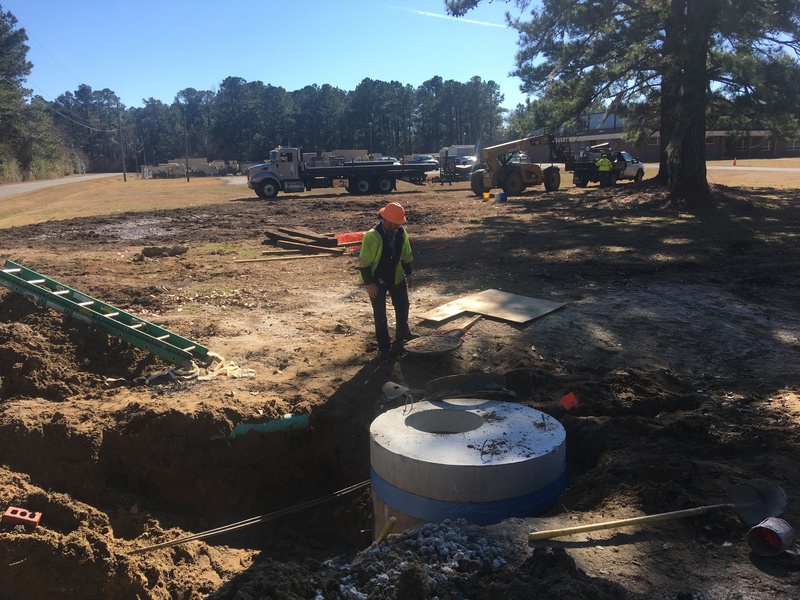 It was the Grand Central Station of sewer pipes, channeling the entire output of New Bern’s toilets and showers to the wastewater treatment plant at the end of Glenburnie Drive near Glenburnie Park. City Engineer Jordan Hughes was proud of the city’s response to the crisis, and justifiably so. Repairing the damage and replacing the old infrastructure, which was installed in 1961, is costing the city $432,000. Aldermen approved the expenditure at their meeting on Tuesday. “That’s big money, but it was a big problem,” Hughes said. The failed section of sewer main was one of the last sections remaining from the original 1961 installation. The city would have gotten around to replacing it, too, until events forced their hand.